The super stylish 2019 Honda Monkey is bags of fun. 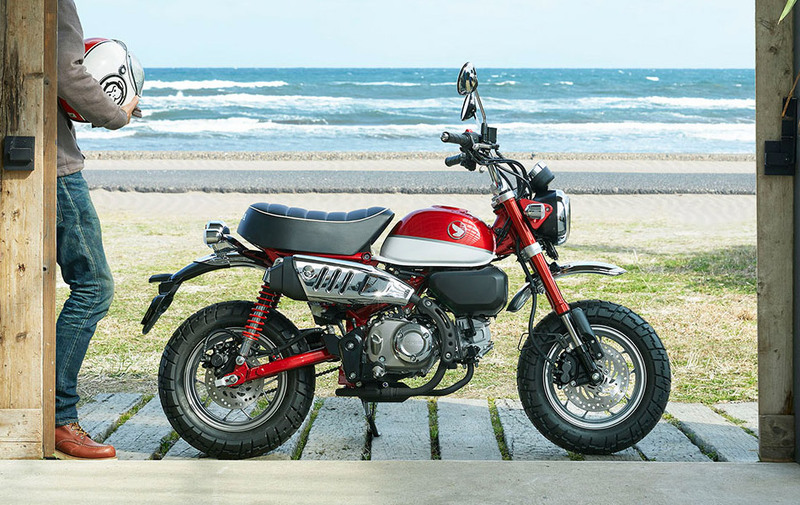 Inspired by the iconic Z50 and powered by the Grom's 125cc air-cooled single engine, it's ideal for daily commuting or to chuck on the back of a motorhome for some far-flung wind in your hair adventures. It's yours in an eye-catching choice of Banana Yellow or Pearl Nebula Red.